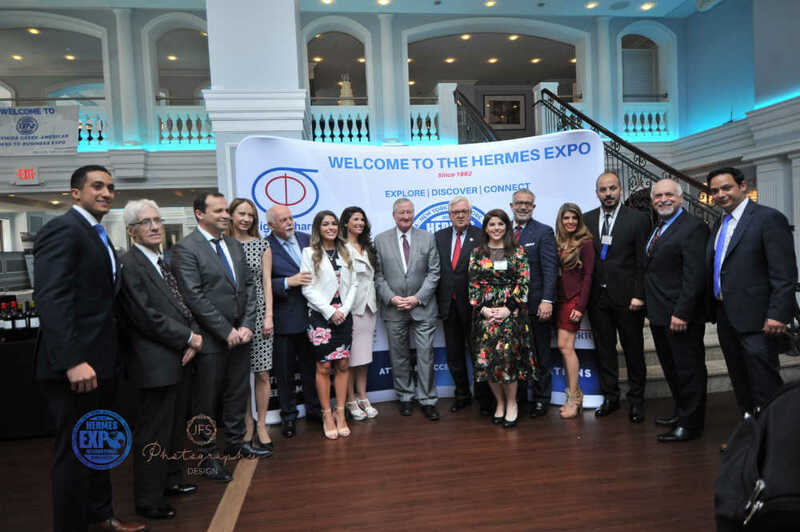 28th Hermes Expo in Washington, DC. It was, to be sure, a Greek affair. 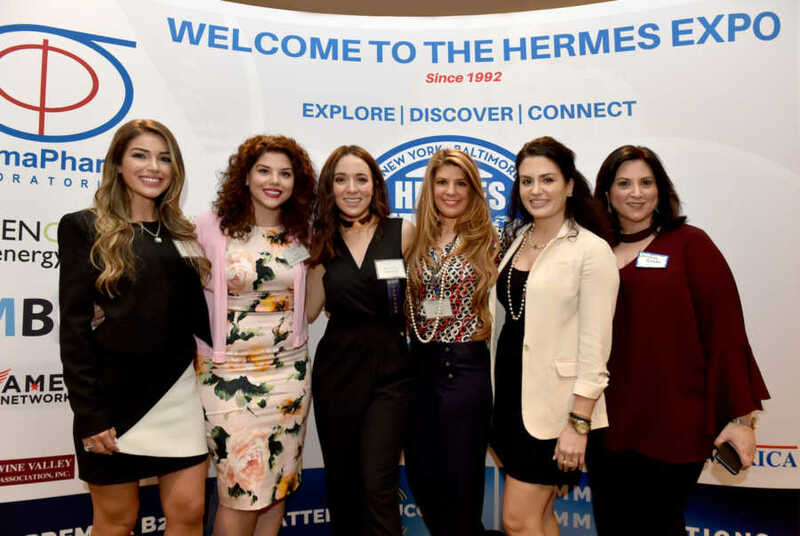 The 28th annual Hermes Expo International rolled out the red carpet last week to welcome 16 Greek companies eagerly seeking networking opportunities with American business owners and distributors. The Expo offered a perfect forum to promote the food, tourism and other products and services that Greece has to offer, helping them to prepare the foundation necessary to penetrate the U.S. Market. This year’s Expo stretched across three states, kicking off April 8 in Washington, D.C., moving on to Philadelphia on April 10 and closing out the week in New York City on April 11. 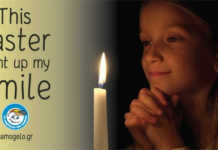 28th Hermes Expo in Philadelphia, PA. The Expo has always served as a facilitator for Greek, Greek American and American businesses looking to work together in the Hellenic and Phil-Hellenic communities. 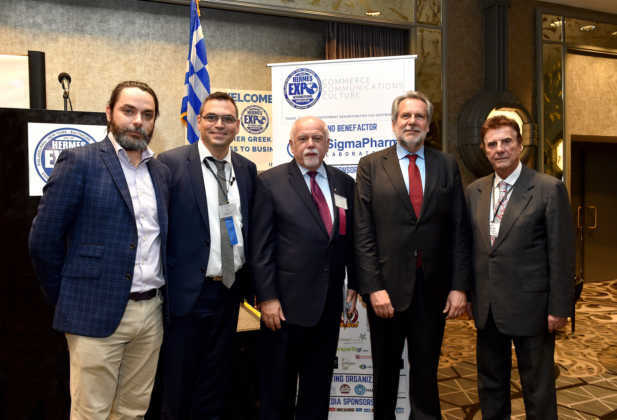 With signs of an improving Greek economy, businesses from local communities in Greece joined up with their Greek American counterparts to attract new customers and put the word out to America that Greece is open for business. 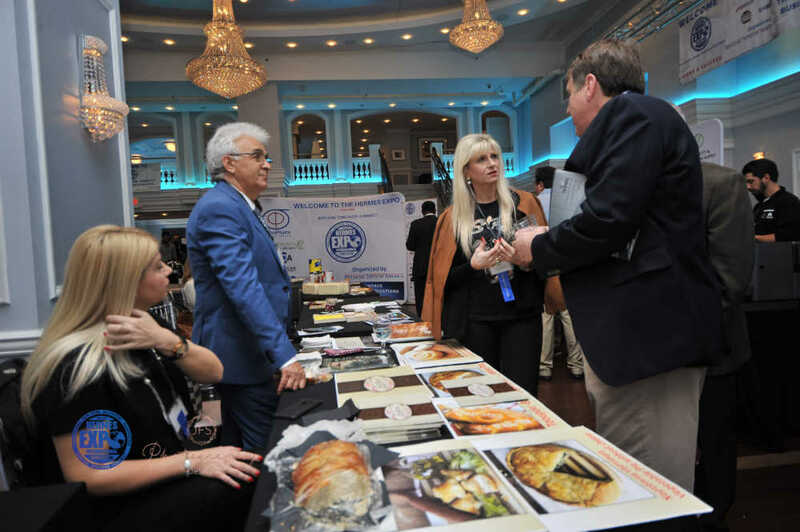 The Expo continued promoting trade, tourism and new investment opportunities through gastronomy, evident on the exhibition floor at the Arts Ballroom in Philadelphia as Greek and Greek American businesses showed off Greek wines, authentic Greek yogurt, feta cheeses and olives, coffee, pastries and desserts. 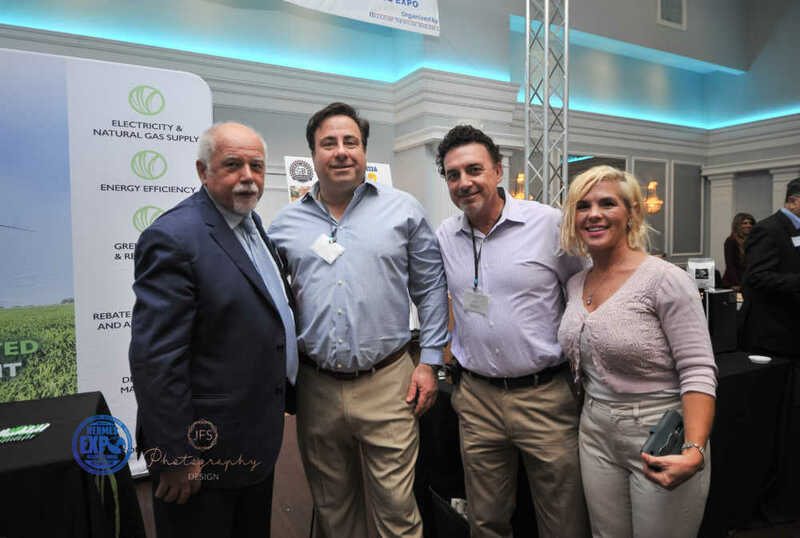 Tourism was well represented as companies reminded everyone that Greece was more than a summer away from home, but a year-round vacation spot. 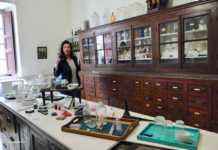 Non-food products and services were also represented such as aluminum manufacturing, finance, legal and real estate sectors. 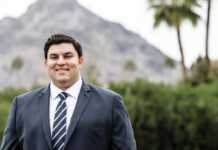 Greek American and Greek non-profits could also be found, like AHEPA, and J&M Recordings, which provides financial assistance to young musicians in Greece as they struggle to make ends meet. 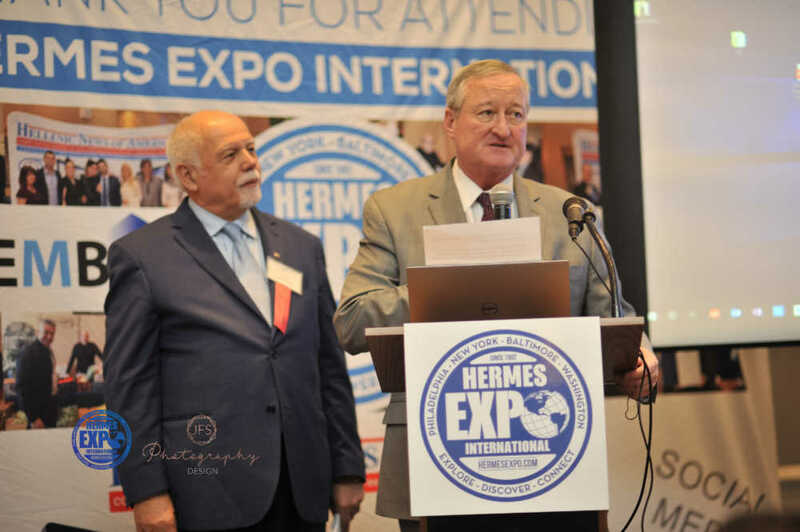 The Mayor of Philadelphia, Jim Kenney at the 28th Hermes Expo in Philadelphia, PA. The Expo re-affirmed its strong relationship with the city of Philadelphia when Mayor Jim Kenney stopped by to offer his support. 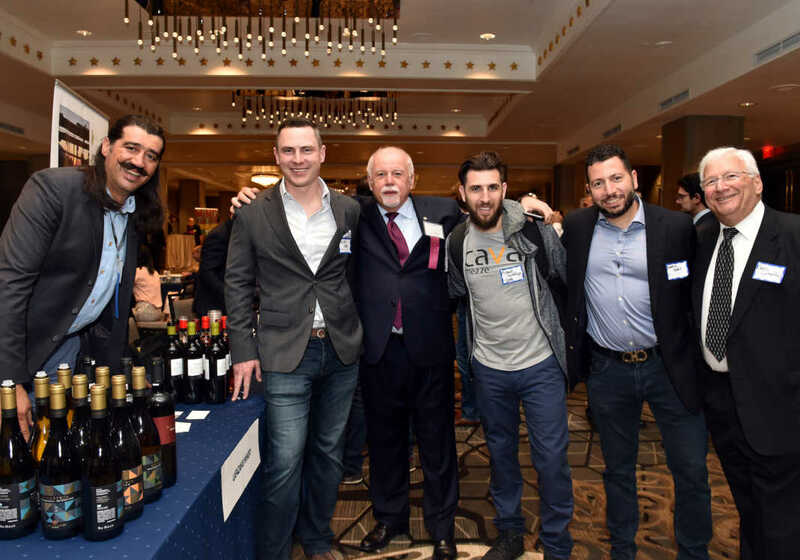 “We’re pleased to host this year’s Expo and welcome the opportunity to spread the economic and cultural relations between the city of Philadelphia and the great country of Greece,” Mayor Kenney said. 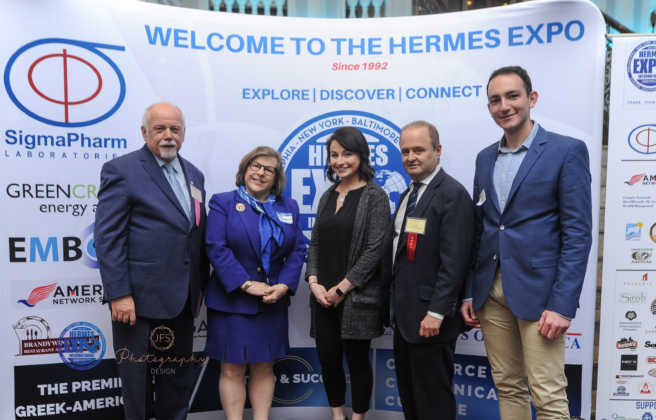 In April 2002, Hermes Expo serving as the catalyst, Philadelphia and Thessaloniki, Greece signed an agreement promising to foster education, culture, trade and economic ties, an agreement both sides have upheld ever since. 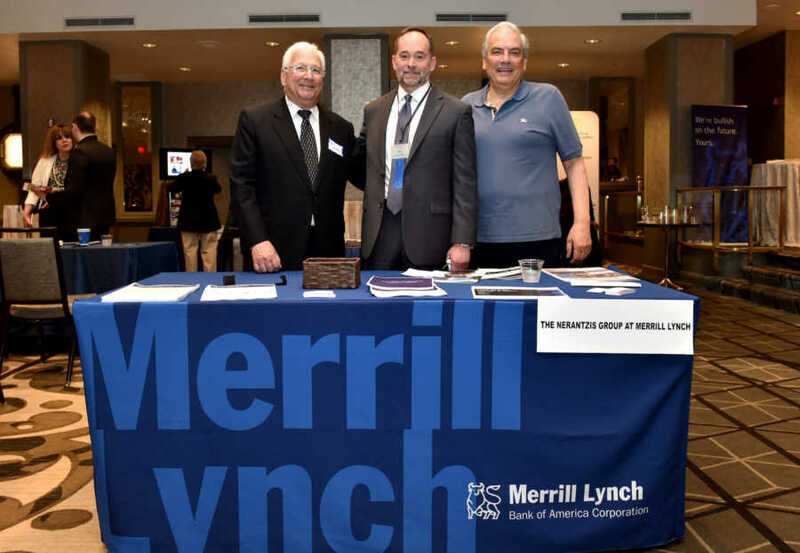 The Expo continued its commitment to educate business owners and investors about issues important to them through its speaker series and panel discussions. Phil Kafarakis, president of Specialty Food Association, spoke about the changing American food consumer while Sal Ritorto, executive vice president of Green Crown Energy, discussed the changing energy landscape in America and MIKEL Coffee Co. from Greece talked about franchising opportunities. The Philadelphia Expo concluded with the annual Hermes Expo Awards dinner, honoring six individuals for their contributions to society. 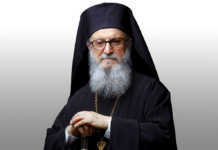 The focus remained on Greece to the very end. 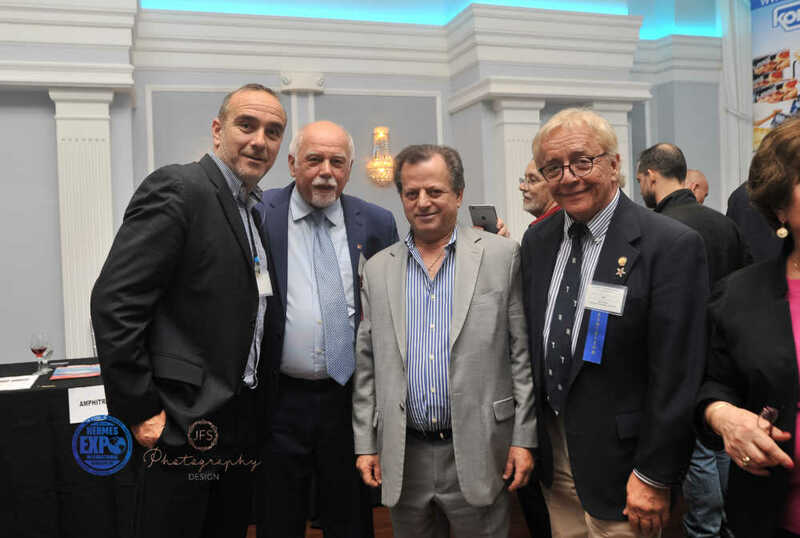 Closing out the dinner was linguist Dr. Aristotle Michopoulos, an educator and author speaking about the influence of ancient Greeks on the development of civilization as well as the importance of economic development between countries.